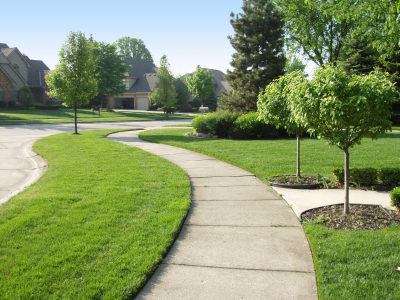 Below are some tips and procedures that can assist any homeowner in making their lawn healthy throughout the hot summer seasons. Fertilization at both the beginning of the spring season as well as at the end of the fall season is vital to your grass maintaining a healthy lifestyle. The landscape of your home should remain clean at all times and seasons, especially in the fall. Leaves and debris will find its way to the ground from surrounding trees and will cause havoc to the soil if not cleaned. If there is no clean-up, the leaves will remain on the ground through the winter months and, in turn, cause an unsafe setup of nutrients and bugs to inhabit the soil and delay growth in the spring months. Thanks for the information I found it useful and reinforced what I already knew. How do you get rid of clover that is growing on your lawn?